For the third time this season the Los Angeles Lakers gave the defending champion Golden State Warriors everything they could handle. But for the third consecutive time, the Lakers came up just short in the end, falling 113-106. 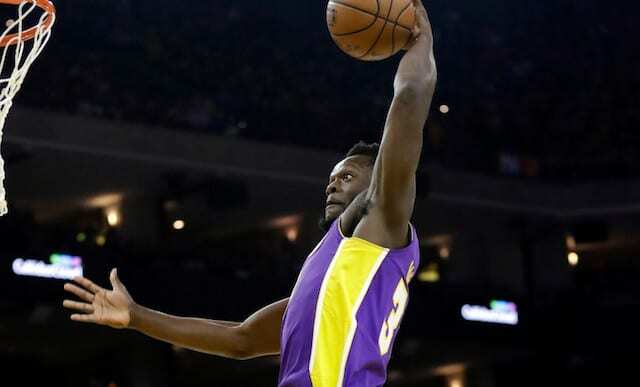 Kyle Kuzma once again had a huge scoring night, joining distinguished Lakers rookies in the process, but one of the major catalysts for the team on Friday was Julius Randle. After playing just eight minutes in Wednesday’s win over the Houston Rockets, Randle responded with a double-double of 21 points and 10 rebounds in 24 minutes. 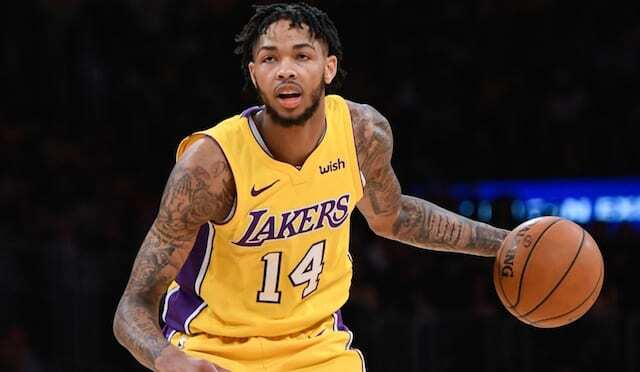 “I think he was a little frustrated from his playing time last game,” Walton said, “and when he plays like that he’s one of the best big men in our league. He’s so versatile. He flies up and down the court. He can grab rebounds, block shots. There is no doubting Randle’s talent when he is focused and locked in. Unfortunately, consistency remains a problem for the fourth-year forward and it’s something that must be fixed for him to realize his potential. Randle might prefer to play more minutes, but it is entirely possible that he is best-suited for a role like this where he can go all out in spurts. Regardless of what his role is, embracing and thriving in it is something that is completely in his hands.